The visualization community has drawn heavily on the algorithmic and systems-building work that has appeared with the graph drawing literature, and in turn has been a fertile source of applications. In the spirit of further promoting the effective transfer of ideas between our two communities, I will discuss a framework for analyzing the design of visualization systems. 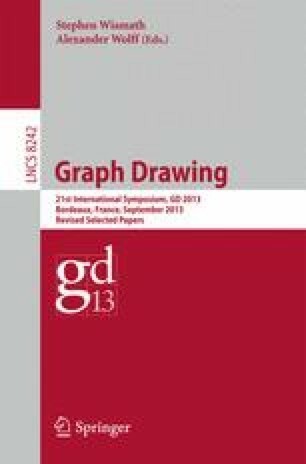 I will then analyze a range of graph drawing techniques through this lens. In the early stages of a project, this sort of analysis may benefit algorithm developers who seek to identify open problems to attack. In later project stages, it could guide algorithm developers in characterizing how newly developed layout methods connect with the tasks and goals of target users in different application domains.